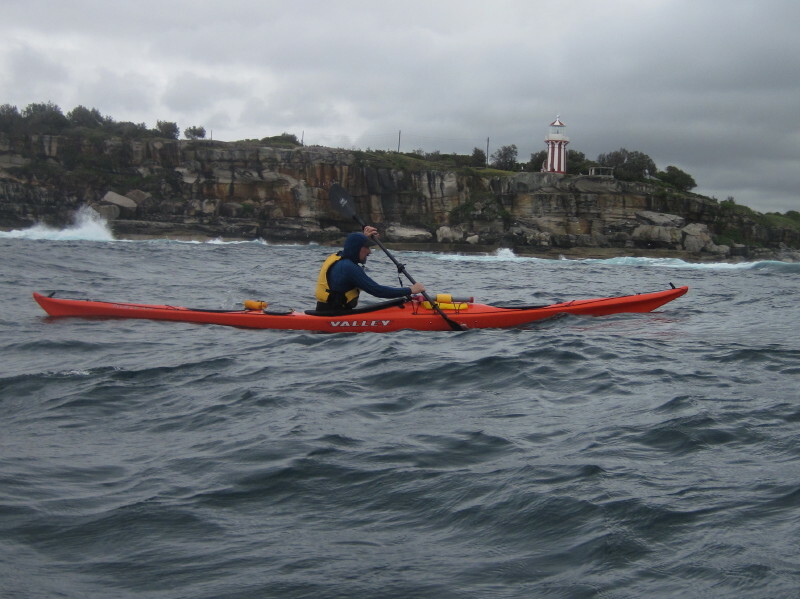 The Balanced Boater: Lively Conditions Off Sydney Cliffs. The two photos above are from the same general vicinity. I have included the first shot, taken on a gentler day, to give some sense of proportion for the second shot. As most paddlers know, it is difficult to convey a sense of scale when paddling in strong conditions and it never quite looks the same on a still image but I couldnt resist snapping a few shots last Friday when Chris James and I headed out for a short paddle off Sydney Heads and down to Diamond Bay. With the ferry services cancelled due to the weather the only other watercraft was a huge tanker that bludgeoned its way through the waves and seemed to bounce around a lot more than our tiny craft as it headed for deeper water. 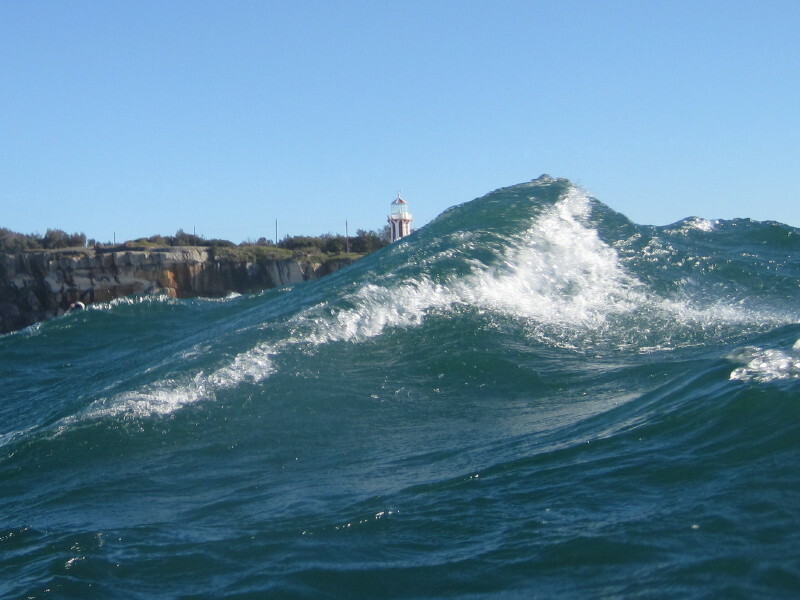 If you look carefully along the waterline in the left hand portion of the photo above you will see Chris's cap just above the wave.